nstead of denying responsibility, Myanmar should put the safety of people in the border area at the forefront. 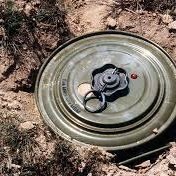 There is a reason why the use of antipersonnel landmines is illegal: they kill and maim indiscriminately and can’t distinguish between fighters and ordinary people. Tirana Hassan, Amnesty international's Crisis Response Director. Two new landmine incidents a few days ago, including a blast blowing off a young man’s leg, bring to three the number of known sites where Myanmar authorities have mined border crossings used by Rohingya fleeing violence, Amnesty International said. On 8 September, Amnesty International confirmed that the Myanmar security forces had planted mines along the northern part of its border with Bangladesh on two busy paths near Taung Pyo Let Wea [known locally as Tumbro] where many Rohingya fleeing violence pass through. At least three people, including two children, were seriously injured, with all blasts taking place along heavily travelled roads.